The importance of uptime cannot be overstated for business PCs or field-deployed ones. 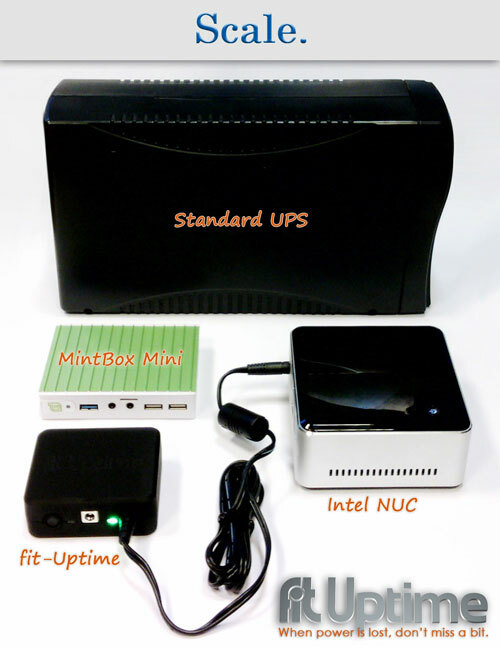 Mini-PCs are increasing in popularity but remain vulnerable to power loss.fit-Uptime is a miniature UPS designed for Compulab mini-PCs, Intel NUC and other. Compulab developed fit-Uptime after identifying that this is the single most important element for improving fit-PC dependability. Plug fit-Uptime cable into the mini-PC DC jack. Plug the PSU cable into fit-Uptime DC jack. Power-up PC.That’s it! Savings during development: less testing, shorter time-to-marketRegression testing for sudden power loss and taking measures to protect the system against anything from file-system corruption to bricking: This is one of the most difficult stages in development of a new system. With fit-Uptime you can assume near perfect uptime of the mini-PCs therefore reduce testing.Project savings: long MTTF, reduced truck roll and RMAMean time to failure of a mini-PC protected by fit-Uptime is often long enough to neglect the failure events. With fit-Uptime project managers should observe significantly reduced truck-rolls, reduction in RMA and higher customer satisfaction due to better uptime. fit-Uptime works similar to an external battery pack/charger with one major improvement – very fast output switching between line power and battery backup. So when grid power is lost and later resumed it will go unnoticed by the PC. No drivers or software to install. No intervention with the normal operation of the PC. No system re-testing required. fit-Uptime can protect your mini-PC immediately out-of-the-box. You do not even need to charge it. What is the capacity of fit-Uptime? fit-Uptime has Li-polymer batteries with 18 Watt-hour capacity. If your mini-PC consumes 5W on average fit-Uptime will power it for over 3 hours.When powered, fit-Uptime is powering the PC and charging its batteries simultaneously. Why not just use a standard UPS? Far smaller. fit-Uptime is much smaller and lighter. When using a mini-PC size and weight are often a major consideration. Much more efficient. DC-DC conversion used in fit-Uptime is far more efficient than AC-DC conversion. For typical load of mini-PCs fit-Uptime last longer than standard UPS 20 times its size. More reliable. 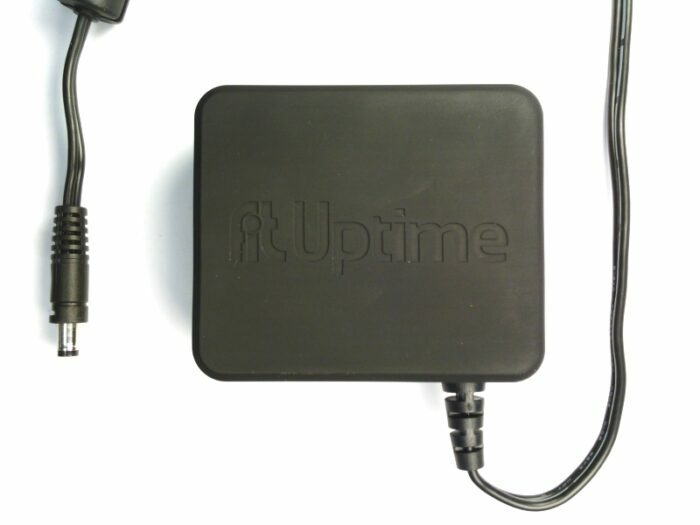 Unlike a standard UPS, fit-Uptime is using Lithium Polymer batteries. When kept charged – as is the normal use case of fit-Uptime – these batteries show very little ageing. This allows Compulab to provide 5 year warranty on fit-Uptime. What's the difference from a cheaper battery pack? Power pass-through and fast switching.With a battery pack your computer may reset on power loss before backup-battery power kicks-in. fit-Uptime is designed and tested to ensure power continuity. What is the point in keeping my PC running if I don't have a display? To assess the risk of power loss, one should factor the incidence and the penalty. fit-Uptime makes the difference between downtime once every thunderstorm (could be 10 times a year), to once every 3-hours-blackout (maybe once every several years). The penalty is also lowered – even without a display, you have enough time to gracefully shut down the PC or in some cases access it by remote management. Does fit-Uptime signal the computer to allow graceful shutdown? No, because this would have complicated setup. fit-Uptime is plug-and-play with no drivers to install and no need to configure the operating system. What computers work with fit-Uptime? – Compulab fit-PC3, fit-PC4, fitlet, Intense PC, IPC2, uSVR.– 12V Intel NUC models.fit-Uptime is rated for 12V DC input and 12V DC output. 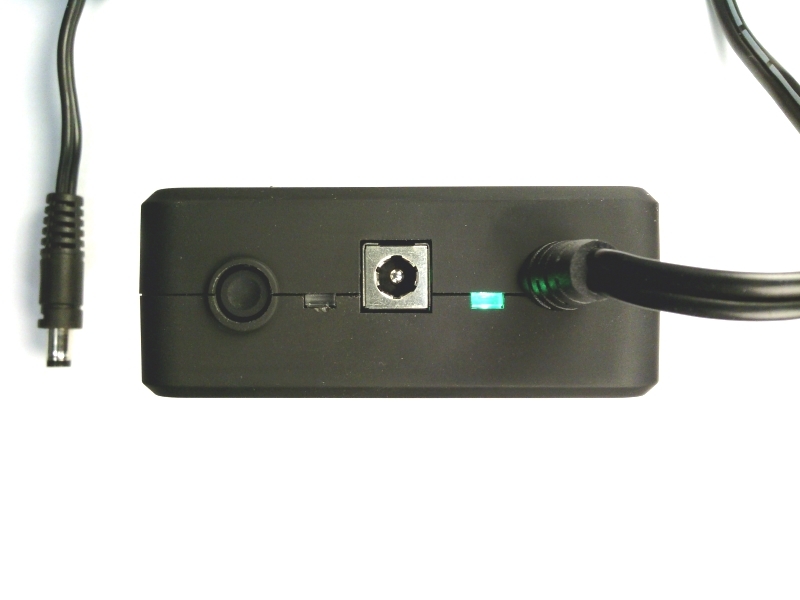 The connected device must be able to work from 12V DC.The DC jack and power plug of fit-Uptime are the de-facto standard 5.5mm x 2.5mm DC Power Plugs used in Compulab fit-PC and Intel NUC.The plug has Compulab twist-lock to secure against accidental pull-out when used with Compulab fit-PC computers. How long would fit-Uptime last? In normal use fit-Uptime will last for many years. The ageing of Lithium Polymer battery is associated with discharge cycles, but fit-Uptime batteries are hardly ever discharged.